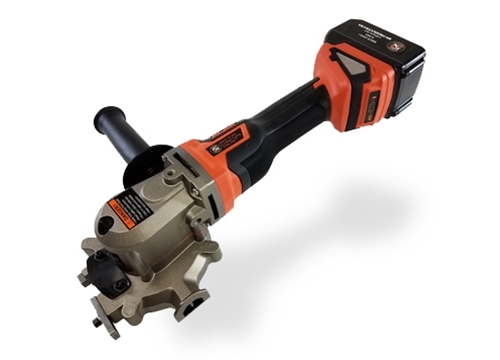 BNCE-20-24V | The newest and most innovative cordless metal cutting saw on the market! 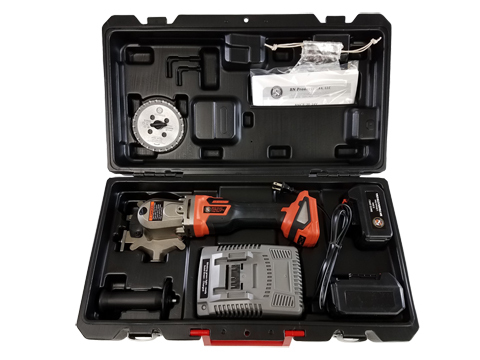 Powered by a 24V Lithium-Ion battery, this amazing tool can cut a variety of materials including up to #6, Grade 60 rebar, all-thread rod, coil rod, EMT conduit, black pipe, copper pipe, square tubing, burglar bars and more... It is designed to cleanly cut the material FLUSH with the surface, making it one of the most versatile flush cutting saws on the market. This compact and lightweight tool has a 3-position removable side handle and a rotating trigger handle that provides the operator with multiple cutting positions and increased maneuverability in tight areas. The Cutting Edge Saw™ has a unique flush-cutting blade guard that greatly reduces blade exposure. It also has a double insulated power harness and is ETL Certified & Listed. The tool is designed to emit minimal cutting sparks and the cut material is burr-free and cool to the touch.